Home > Self Hypnosis > Self Hypnosis: Is It For You? If you lead a particularly stressful life, have difficulty concentrating on anything for longer than a few minutes, feel rushed off your feet and could generally benefit from a bit of timeout, then self hypnosis is worth considering. 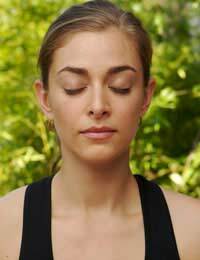 It is a natural method of slowing thought and breath so that you can focus the mind, and is the type of gentle therapy most people could benefit from. Self hypnosis is a relaxing focused awareness that slows down thoughts so that you can explore your subconscious mind. By doing this you are able to absorb positive suggestion and affirmations that can help create the changes you want in your life. Your inner mind stores a wealth of power and knowledge that is very rarely accessed. Being able to tap into this with self hypnosis, when required, is a valuable skill to possess. Could You Benefit From Focused Thinking? If the work you do requires periods of deep concentration or a lot of mental activity self hypnosis can help you identify ways of making your working life easier and more balanced. It can help you improve decision making, increase your attention span and generally enable you to work more efficiently and productively. In order to assess whether or not self hypnosis might be something you could benefit from trying, it is worth selecting an important objective or goal. This could be something like finishing an important piece of work for a deadline or a plan to give up smoking. Whatever you choose to focus your attention on can be worked into a script that can then be used to provide positive suggestion. Self hypnosis provides a highly effective, therapeutic method of dealing with stress management by mind control. Getting into a deeply relaxed state of focus means that you are able to resist tension, which then triggers a relaxation response. Allowing your body to reach this deeply relaxing state will protect your body from further health issues related to chronic stress. Being able to regularly use self hypnosis will also encourage you to make positive lifestyle changes. Besides relaxation and achieving a more focused awareness, self hypnosis offers a versatile way to manage self-awareness and personal development. It can also be used to manage pain and help with physical rehabilitation after injury or surgery, and is an inexpensive way of maintaining general wellbeing. As with any form of therapy self hypnosis may not be suitable for everyone. Some people may be too closed to the idea of focusing awareness and paying attention to the inner self. Whilst others may simply experience difficulty relaxing enough to induce a trance-like, deeply relaxed state. Sometimes being able to find sufficient time may cause problems with continuing to explore the possibilities self hypnosis has to offer. Being aware of you personal limitations, before you commit to working with self hypnosis on a regular basis, makes sense. If you do have time restriction but are interested in trying self hypnosis an initial facilitated hypnotherapy session with a therapist is always another alternative.